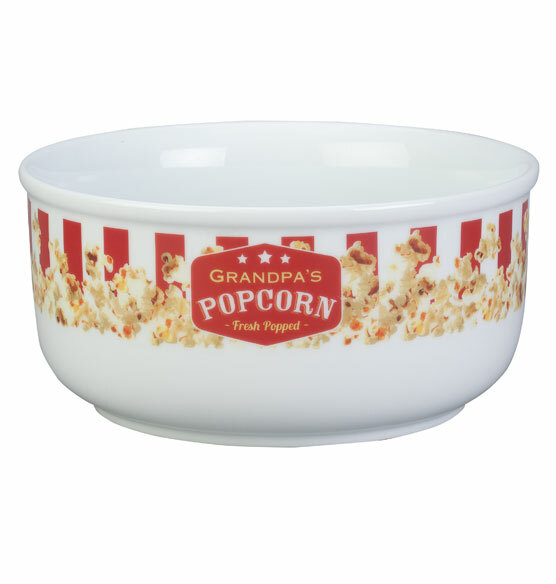 Perfect for movie nights, this personalized popcorn serving bowl is the ideal size for a generous batch of popcorn. 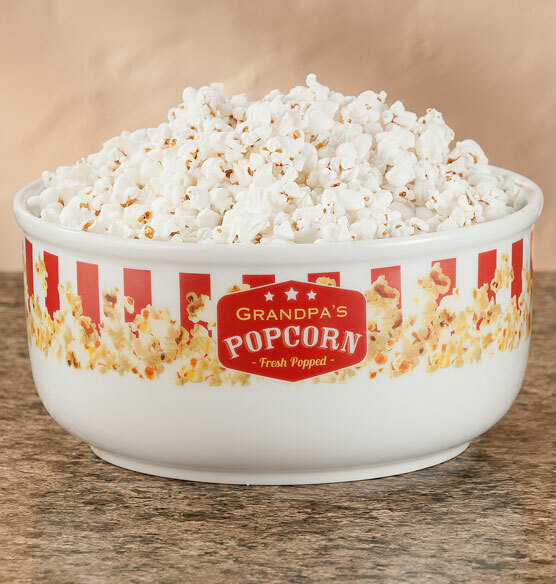 Iconic red and white stripes with popcorn imagery wrap all the way around the large bowl, enticing you to munch from any angle while you enjoy a favorite flick. Personalize with a name to create a one-of-a-kind treat bowl. Makes the perfect addition to a cinema-themed gift basket.